Noted diplomats and national security experts of the country on Saturday favoured more “people-to-people” contact to ease the strained relations between India and Pakistan, saying “it will sort out a lot of misgivings and misconceptions among the people on both sides of the Line of Control (LoC)”. 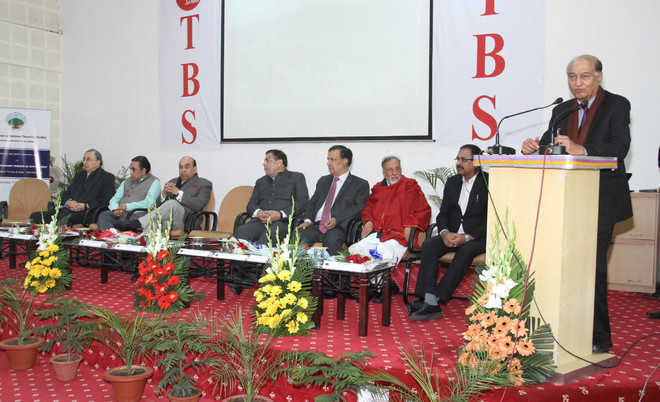 The experts had gathered to deliberate on the theme, ‘Transboundary Issues in South Asia-Indus Water Treaty (IWT) and Indo-Pak Relations’, during a day-long seminar organised by the department of national security studies, Central University of Jammu (CUJ). In his address, former Ambassador and Chancellor, CUJ, G Parthasarthy advocated for youth-exchange programmes to clear the “misgivings and misunderstandings” on both sides of the LoC. “I firmly believe that at some stage when things calm down, the best way for the youth on both sides of the LoC would be to meet. Having been on the other side of the LoC, I think a lot of misgivings and misunderstandings about India will be sorted out when we have youth-exchange programmes,” Parthasarthy said. The former Ambassador said the “aam aadmi” (common man) on the other side of the LoC (Pakistan) wanted to live a peaceful life. “We should be very clear as how we are going to deal with Pakistan. Don’t treat every Pakistani as a bad guy,” he said, adding that “we (India) need to be upfront while dealing with Pakistan”. Former Ambassador TCA Raghavan, who is also the director general of the Indian Council for World Affairs, said a “holistic policy” would help both nations to prosper. “The inconsistencies in the bilateral ties will remain but there is an enormous potential for encouraging people-to-people contact and having a restricted visa policy is not a holistic approach to deal with Pakistan,” he said. Raghavan said the encouraging contact between academicians, political class, scholars and journalists of the two sides had to be an “intrinsic part” of India’s policy. Lt Gen Syed Ata Hasnain, Chancellor, Central University of Kashmir, spoke on the military perspectives on the Indo-Pak relations, saying “Pakistan’s aim is to prevent India from achieving its aspirations besides keeping India militarily and diplomatically imbalanced”. Other key speakers included Balraj Joshi, chairman and managing director, National Hydroelectric Power Corporation, former Ambassador Phunchok Stobdan andAmitabh Mattoo.